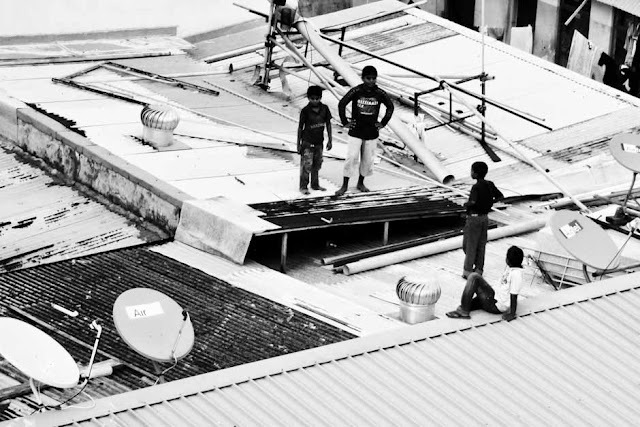 The city has gotten so congested that the kids have to take their play time up on the roof. This doesn't look very safe. Hope they are being supervised.